It’s the time of year, where the weather is getting colder (for the tropics! ), the days shorter and everyone is looking ahead to their end of year plans. Unfortunately, this is also the prime period for influenzal infections, otherwise known as flu season. Influenza is a respiratory infection caused by the influenza virus. The virus is found in humans, mammals and birds. Influenza is usually spread by contact with infective fluids, usually respiratory secretion or bid droppings. Respiratory fluids can be aersolized by coughing and sneezing, making it much easier to spread. As such, influenza tends to be very contagious. Annually, influenza is thought to infect 20% of the world’s population! Influenza may also cause stomach discomfort, nausea and vomiting, particularly in younger children. Most patients with influenza tend to recover fully after a week or so. However, influenza can be deadly. Estimates indicate there are 3-5 million cases of severe illness and 250,00- 500,00 deaths from influenza each year. Common complications of influenza are severe chest infections like pneumonia or parapneumonia, exacerbation of lung conditions such as asthma or COPD, respiratory failure or Respiratory Distress Syndrome (RDS), meningitis and other neurological infections and secondary bacterial infections. Not all influenza strains are equal. Broadly speaking, there are 3 families of influenza, known as groups; namely Group A, Group B and Group C. Each family has different strains with differences in virulence (ease of transmission) and pathogenicity ( ability to cause harm). Generally Groups A and B tend to cause more severe cases of influenza while Group C causes milder respiratory infections. When viral spread is very prevalent in a localized region, it is termed an epidemic. When rampant infection spreads globally, it becomes a pandemic. Pandemics greatly increase the number of patients with disease complications and mortality. One of the biggest challenges in managing influenza is when a strain usually found in other species mutates and manages to spread to humans. These mutated species generally spread much faster and can cause more problems as our immune systems are unfamiliar with the pathogen and cannot deal with them as effectively. 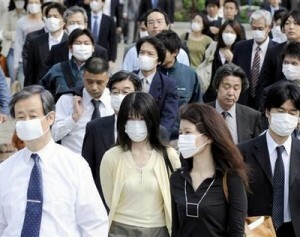 In recent times, the influenza strain H1N1 (otherwise known as swine flu) quickly became a pandemic. Fortunately, owing to the lack of severe viral pathogenicity and thanks to quick human response, we were able to minimize the damage caused. In a similar fashion, global health authorities are constantly monitoring the spread of avian influenza strains like H5N1 and keeping vigilant to ensure it does not escalate in a similar manner. In most cases, influenza is a relatively benign disease. Treatment is usually supportive and for most, warm fluids and bed rest should ensure a full recovery. Symptomatic medications like antihistamines, cough preparations and anti-pyretics like paracetamol may be useful. In more severe cases, antivirals may need to be used. Very ill patients may also need to be hospitalized for supportive care. Flu vaccines are created every year, based on recommendations by the World Health Organization, which researches and predicts the strains of virus most likely to be circulating. 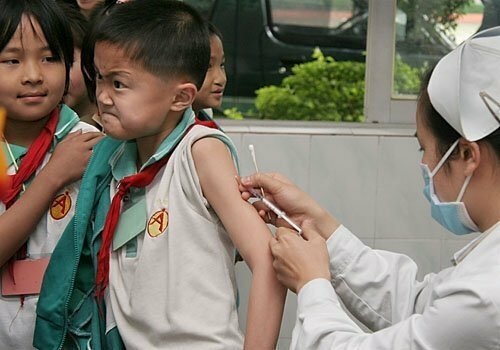 It is recommended that influenza vaccinations be taken annually, usually prior to the cold season or travel to regions experiencing autumn or winter. Flu vaccines are very effective and are recommended for all, especially children, the elderly, pregnant women and immunocompromised patients like those with HIV, cancer or diabetes. Families with vulnerable members should strongly consider vaccinating themselves as well to minimize exposing their loved ones. Influenza is highly contagious. Where possible, avoid crowded areas, especially indoor areas with little ventilation such as shopping centres, museums, galleries or foodcourts. Cover your nose and mouth to prevent aerosol spread. 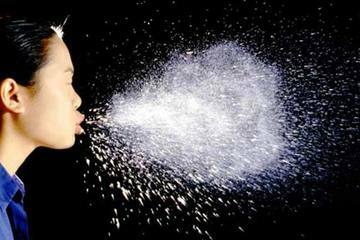 Influenza is spread mainly by inhalation of airborne respiratory droplets. If you are ill, you should cover your nose and mouth, particularly when you cough and sneeze. Face masks may also be useful for others who have to be in crowded environments or are dealing directly with ill people. While surgical masks are useful in curbing fluid contact, only masks rated to filter fine microscopic material like the n95 masks are truly effective in preventing inhalation of aerosolized viral particles. If you are exposed to the virus, how quickly you recover is dependent on how robust your immune system is. Many things can depress you immune response, including diet and lifestyle. Ensure you have a well balanced diet packed with fresh fruits and vegetables. If you have any chronic medical conditions, make sure to optimize your disease control. Influenza can be a very nasty disease to cope with. For some it can even prove deadly. Act now to keep you and your loved ones safe. Talk to your doctor about getting vaccinated.